Even if you do your best to catch the hair and stick it to the side of the shower stall to dispose of after your shower, a bunch of hair always makes its way to the drain despite your best efforts. The following tools are inexpensive and will help you prevent and deal with the inevitable clogs. We gave the TubShroom a shoutout in our article Five $20 and Under Bathroom Upgrades You Should Buy Right Now, for good reason. It’s ridiculously good at what it does. When it comes to hair clogs, the single best thing you can do is to keep the hair from getting in the drain in the first place. The TubShroom’s design is excellent at both preventing the hair from getting into the drain and keeping the water draining while you’re using it. Unlike most hair catchers, it doesn’t slowly clog up with hair and start backing up. 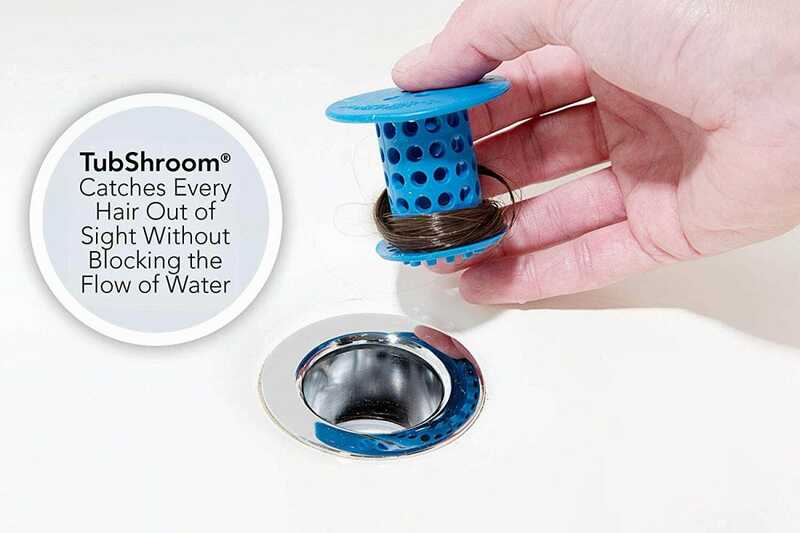 The mushroom-like design helps the hair wrap around the base and the top keeps the drain open so you don’t have to empty it while you’re showering. There’s even a wide version for bigger shower-stall drains called, naturally, the ShowerShroom. You might only think of drain snakes in terms of the big ol’ steel cable monsters your plumber busts out to clear the main drain of your home. For nabbing a hair clog that’s right at the drain opening, however, a much lighter (and cheaper) tool is perfect. The Cobra Zip-It is a 17-inch long flexible plastic rod with a pull ring and a narrow shaft with barbs on it. 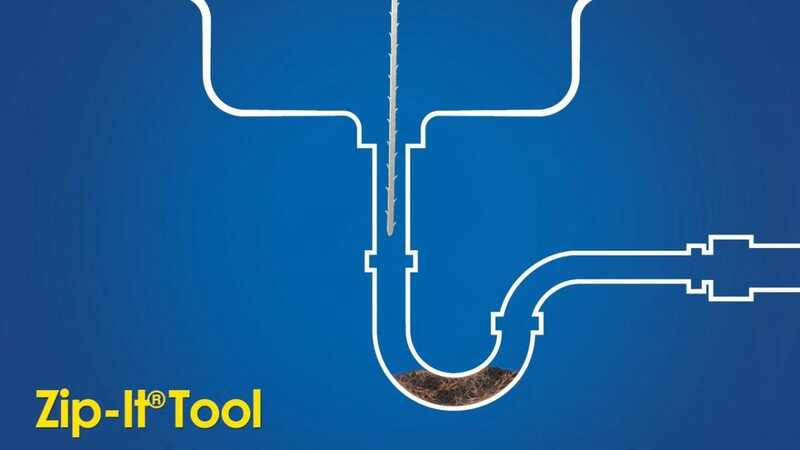 The idea is that you feed the rod down into the drain where the barbs slide past the clog and then you wiggle it and pull it back out. The barbs dig into the clog on the whole thing comes sliding out. It works incredibly well and we’ve pulled numerous hair clogs out with it over the years. Although the company labels the Zip-It as single-use, it’s far from it. Just take a paper towel and wipe the Zip-It from tip to handle to release the hair from it. We’ve used the same Zip-It for almost ten years now and other than a single barb eventually breaking off, the thing looks brand new. You probably already have a plunger in your bathroom. Or not, maybe you fight toilet clogs like a bare-knuckle boxer—we won’t judge. If you don’t already have a plunger or if it’s a lackluster model with some wear and tear, you should absolutely grab a nice one like this OXO Good Grips model. Maybe you never thought about plunging the drain in your bath or shower before, but it’s a really great way clear a clog. Hair clogs almost always occur right by the trap or just beyond it (which is why the aforementioned Zip-It works so well). 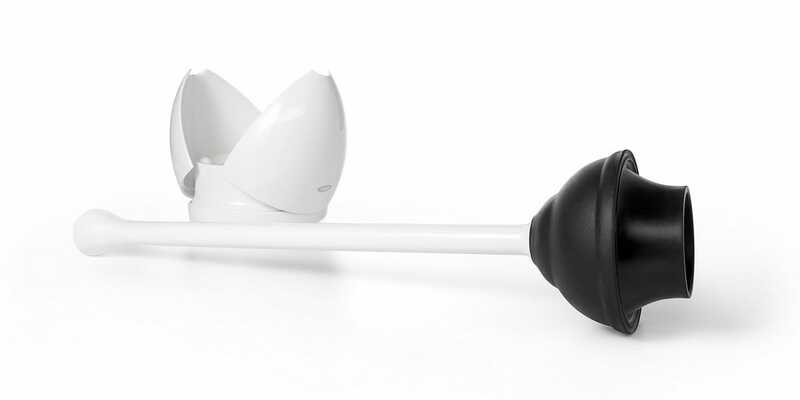 If you don’t have a Zip-It or the clog is just out of reach, the simple mechanical action of a plunger is far more effective than you might assume. Just let the tub or shower pan fill up with an inch or two of water, then plunge like a mad man until the clog breaks free. With tubs, you’ll want to jam an old dampened washcloth into the opening of the overflow drain to restrict the airflow (otherwise a lot of the pressure will go up the overflow and spit drain gunk out). Full disclosure: that’s a best practice that I never follow through with (and plunging still works great). 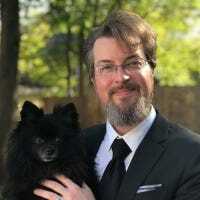 So far all our advice has centered on prevention and mechanical removal because, frankly, those are the best and safest ways to approach hair clogs in your bath and shower. It’s far better to keep the hair from going down the drain in the first place and to gently remove it than to bust out drain cleaners that can injure you or damage your plumbing. Because let’s be real here: if it can dissolve hair it can likely dissolve you. 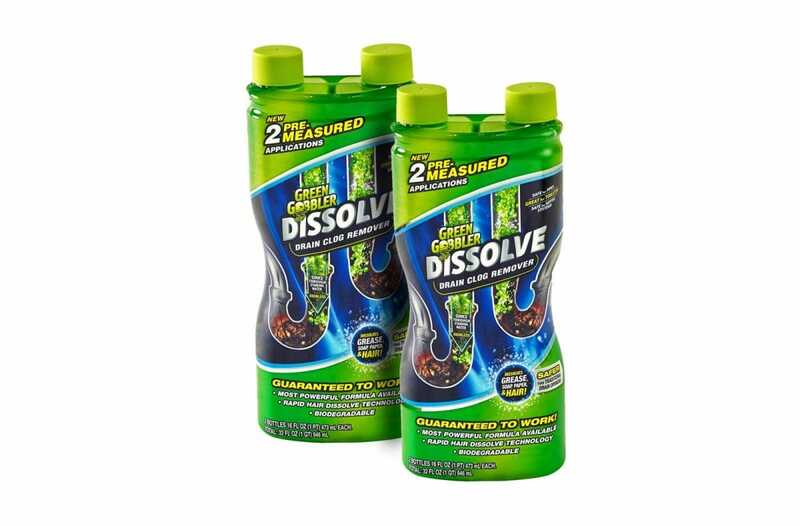 That said if you need a drain cleaner to attack hair or, after removing hair, just de-scum your pipes for better drainage, the Dissolve by Green Gobbler is a solid option. The cleaner is a propriety blend of enzymes (as opposed to the straight sodium hydroxide you’ll find in old standbys like Draino) that digest hair, skin oils, and other organic material. You pour one of the pre-measured bottles (the $12 pack comes with two) down the drain and, depending on the severity of the clog, leave it there for a few hours or overnight. Rinse after the period of time (preferably with very hot water, like a kettle of boiled water) and the dissolved hair and soap scum goes with it. In times past, if you wanted a portable game machine, you just bought the latest incarnation of the Game Boy. The environment has gotten more complex lately, even if Nintendo is still the clear leader.